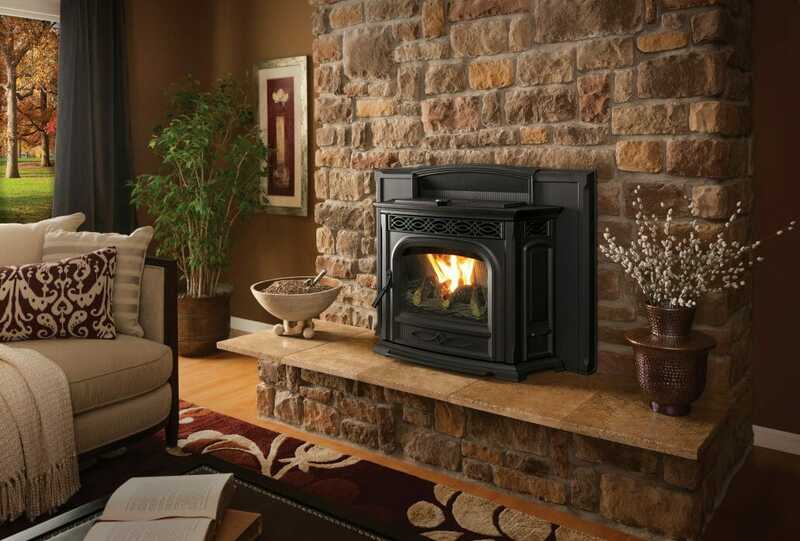 Transform Your Old Hearth With A Pellet Stove Insert. 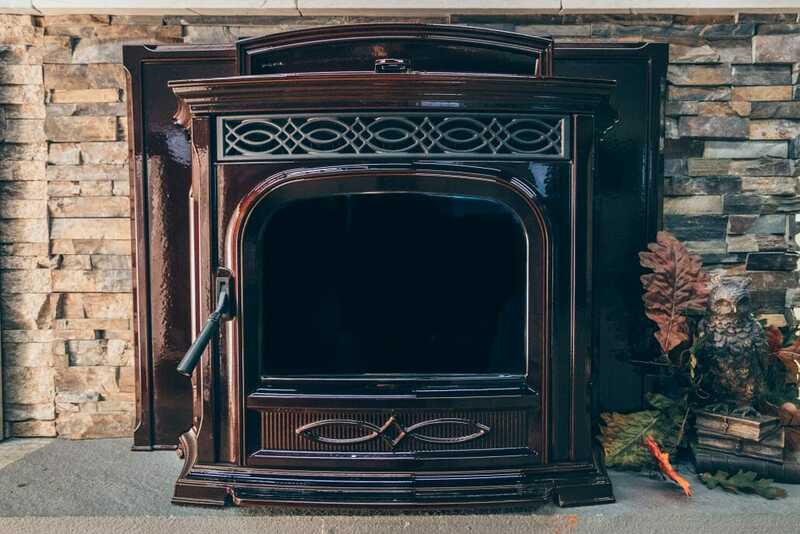 Does it seem like your old drafty hearth just lets the heat escape from your home? Are you chopping wood and getting minimal heat? A pellet stove insert creates an efficient and contained heating system, all within your old masonry or zero clearance fireplace. 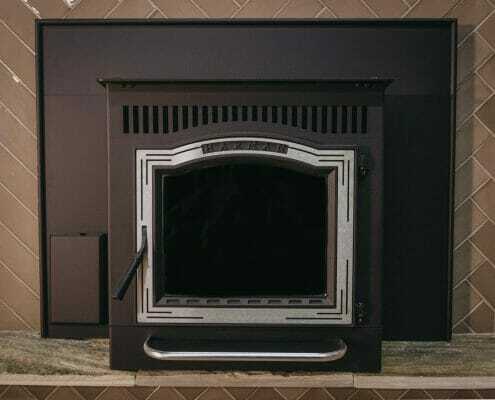 Let Edwards & Sons transform your outdated hearth with a pellet stove insert for a powerful and convenient heating experience. 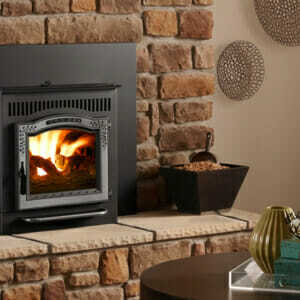 Purchase A Pellet Stove Insert From The Local Experts. With decades of experience, Edwards & Sons is with you every step of the way to provide expert guidance. 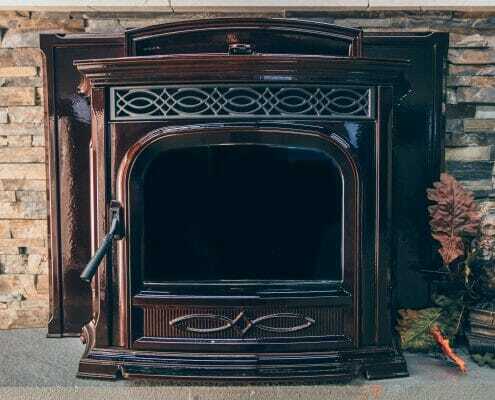 Purchasing a pellet stove insert with us means you are not only getting a top of the line product, but also our many years of experience with biomass stoves. 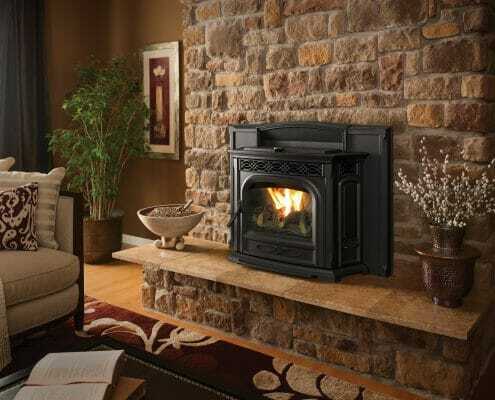 We burn the pellet stoves we sell in the store and in our homes. You are not only getting the experience of industry specialists but also consumers! Professional Installation And Maintenance Maximize Performance. Our employees know how to guide customers to a product that fits their needs, and also professionally install and service what we sell. Are you set on pellets as your new fuel source, but not sure if an insert is right for you? 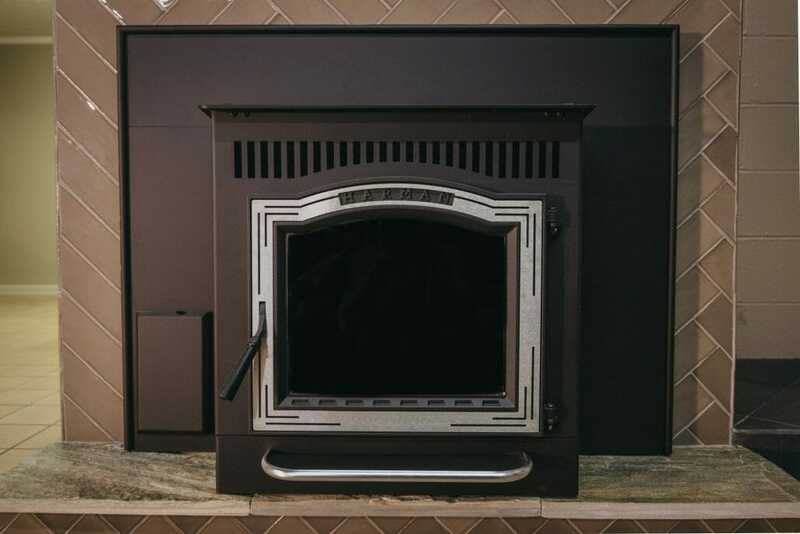 Check out our freestanding pellet stoves and keep in mind these inserts can be built in as a new fireplace, no chimney needed! 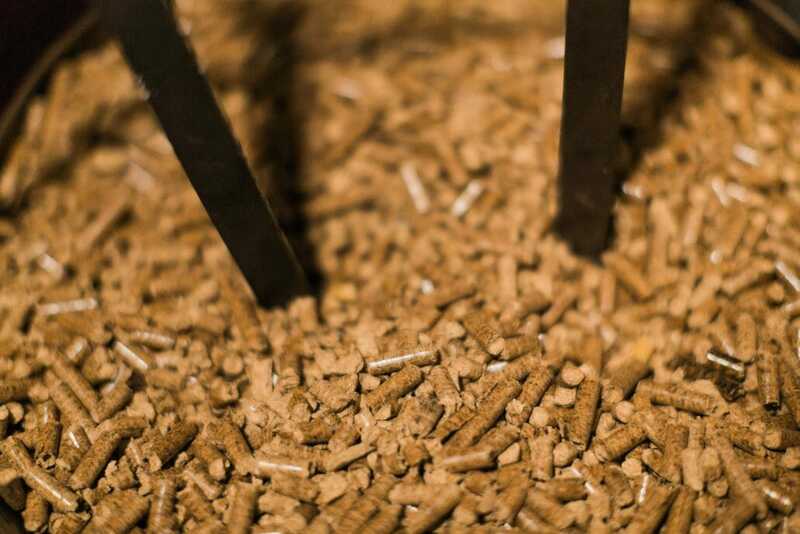 Edwards & Sons sells the highest quality pellet fuel supplied by local manufacturers. Check out our information on buying and storing pellet fuel throughout the season. 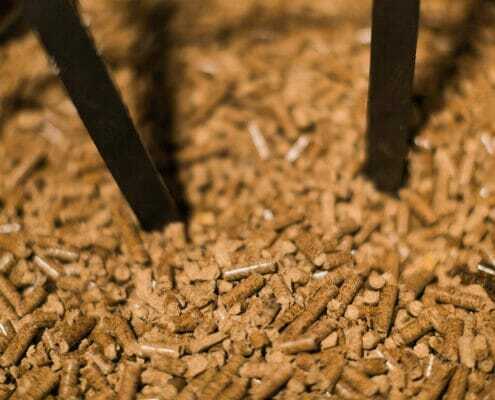 For A Sustainable Heat Source, Pellets Provide Green Energy. A byproduct of hardwood flooring and mills, pellets upcycle wood waste into a high efficiency energy source. With seasonal savings on stocking pellets, you add even greater value to your new heat source. 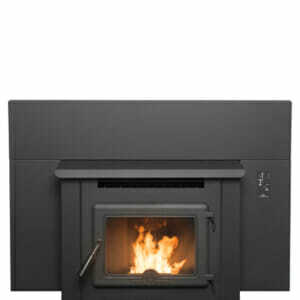 Contact Us Today For A Free Pellet Stove Inserts Estimate!